My sister-in-law and I are hosting a very informal "baby brunch" this Saturday for my sister, who's expecting in May. The brunch is going to be at my house, which means I have all sorts of straightening up and cleaning to do around here. 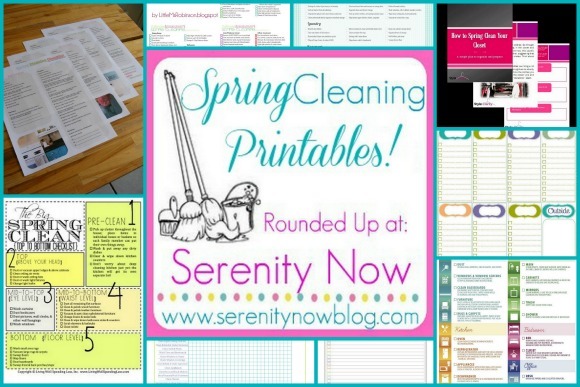 I'm busy with those chores in addition to other responsibilities this week, so in the spirit of the season, I thought I'd round up some fantastic Free Spring Cleaning Printables from my Pinterest boards to share with you! One job at a time. I like the grid-style list. Clean out your closet with a specific guide! This one is several different pages with the same pretty header. Several color choices for this one. 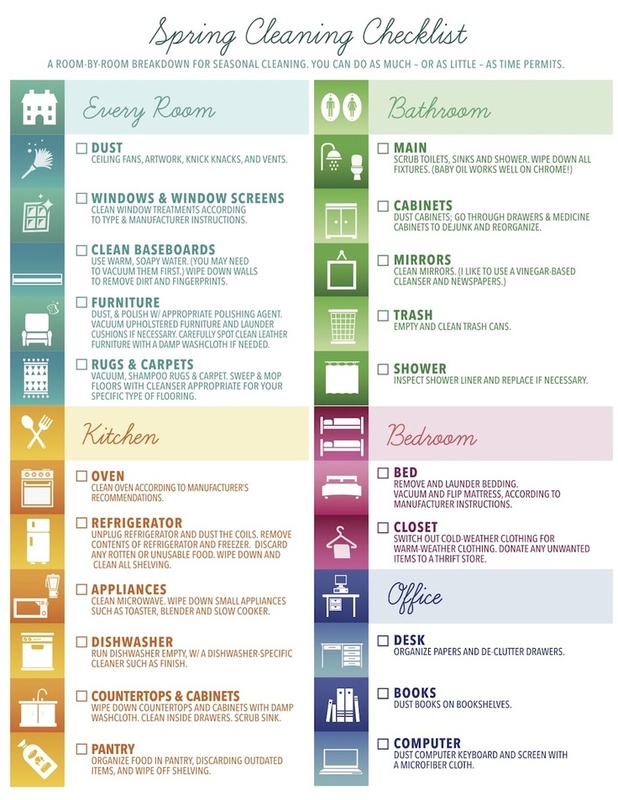 Have you started with your Spring Cleaning yet? Do you keep a household binder or use printables? 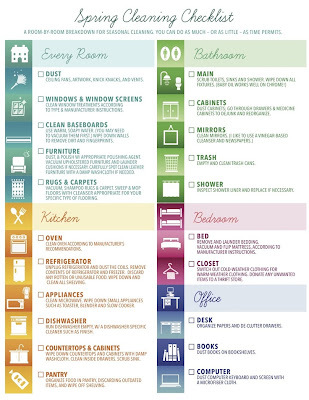 You can follow my Printables Pinterest Board here, and you'll find my Housekeeping and Homemaking Board here. I also have a Spring Cleaning Tips post here on the blog if you're interested! *Each source is listed below the photos. Please be sure to Pin from the original sources so each person gets credit for his/her own work. Very useful lists - thanks for putting them here in one place. I just finished a major house (i.e. toy!) purge and now I'm going to do some Spring cleaning! Never used a Spring cleaning list before but I might just do it this year with all these awesome printables you just shared Amanda! Thanks!